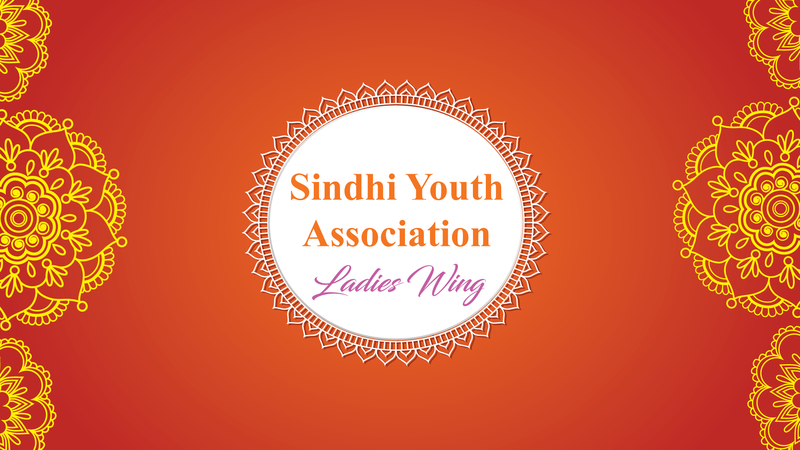 We at the Sindhi Youth Association Ladies Wing would like to introduce ourselves as a charitable organisation setup within and operating from the P.D. Hinduja Sindhi Hospital, Bangalore. Formed in 1979, our objective is to build stronger, healthier and prosperous communities and neighborhoods, and to benefit societies and create, as far as possible, a balance in society, through hard work and the strong support of our members who work tirelessly to achieve our goals. The main aim of our association is to render service to the lesser fortunate and the deserving sections of society. Ignoring all prejudices of caste, creed, class, color, and race, our objective is to follow the precepts of human brotherhood, and we are proud to declare that we on the very path toward achieving what we have set out to achieve. Lighting Lives and Spreading Smiles. Our overall aim has always been to assist lesser fortunate members of our society as well as patients and individuals, to maximum possible extents. In order to raise funds that allow us to fulfill our aims and objectives, the Ladies Wing organizes fundraisers and events, the proceeds of which go directly to help the cause of the association and its efforts. Our fundraising endeavors include exhibitions, fundraising dinners, events and promotions. We have conducted events such as “GLITTERATI”, which is a fundraising dinner and “DEEPANJALI” , an exhibition which provides a pedestal to members of our society to sell their products, which have seen tremendous success. This success is the result of immense hard work and relentless effort put in by our members, who are the cornerstone of the committee. With a view to directly focus primarily and unequivocally on benefits to the lesser fortunate sections of society, the Social welfare committee of the Ladies Wing was formed. The committee is involved in supporting Sindhi families and households who are in immediate and urgent need of monetary support, to cater to basic necessities. On a monthly basis, monetary aid is provided by the Association over and above what the families earn through their efforts, which supports and allows them to lead a life of basic standards and esteem. A few years ago, we noticed the awareness and need to support kidney failure patients who needed dialysis. To best serve urgent and severe cases, we started our drive to collect funds to create an endowment fund for this very purpose. We were successful in creating a corpus fund of Twenty Three Lakh, which has enabled us to provide 240 free dialysis procedures in one year, an outstanding achievement. It gives us immense pride as well as a drive to further achieve and continue this effort. With the help of our donor Mr. Dinesh Hinduja, we have installed Dialyser processing machine, which has helped the hospital in bringing down the cost of dialysis. Over and above these efforts, the dialysis patients are provided drinking water as well as juices during the procedure, to help them recover sooner. The appreciation of the patients to this initiative by our committee has now prompted us to provide 960 packets of juice every month, to aid patient welfare at the hospital. We also extend monetary help to other patients who are unable to financially support the care they need. Patients who come in recommended as special cases by our members for various other procedures are provided with monetary assistance to best meet the medical attention they need. The Sindhi Youth Association is closely tied to the P.D. Hinduja Sindhi Hospital. We help the hospital by supervising the hospital cleanliness and upkeep of the hospital premises. Our patient welfare committee gets to meet the patients and address their grievances and, as far as possible, we strive to ensure the patients of the hospital are comfortable and well tended to. We have further extended our efforts and have created a fund, which provides free food to the general ward patients as and when the need arises. We have an endowment of 13 lakhs, which enables us to give 240 free dialysis in a heart to the very needy and deserving patients. Dialysis is a very expensive procedure.It is subsidized in the hospital. As even this is out of reach for many patients,we extend help.This project is on from four years now. We receive donation from people on their birthdays or anniversaries. We extend these amounts to the patients in their name. It is often said: give a man a fish and you feed him for a day; teach a man to fish and you feed him for a lifetime. Following the same principle, we at the Ladies Wing of the Sindhi Youth Association have taken an initiative and we strive to assist individuals approaching us in vocational training. We recently helped a young housewife who requested for some training in the field of beauty treatments. With the help of one of our members we were able to arrange for a three-month course at a beauty parlour and she was able to complete her training and she acquired skills enough to support her ambitions. The Scholarship Committee was formed three years ago, with the intention and purpose of providing outstanding and remarkable students who possess incredible potential with financial aid in order to fulfill their dream of an education befitting their intellect. The scholarship committee supports these outstanding children by offering them education scholarships. The Scholarship Committee has seen significant progress in their achievements and an incredible rise in applications for such scholarships, and as such, The Ladies Wing has taken the initiative and with unwavering support from our benevolent donor Mr. Arjun Menda, an endowment fund of Rs. 20 Lakh has been setup. The interest from the funds helps us to support the education of about 30 students from the really Low economic strata of society, child . Again, no discrimination of caste. We look largely to support children. Address : SYA, 16/9, BP Road, Pune.